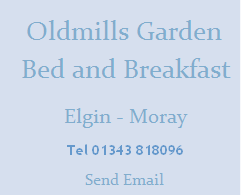 There is simply something for everybody, full details of which can be found by visiting our links page and clicking away! Whisky purists must visit Speyside, home to over half of Scotland's Malt Whisky distilleries, not all of which are open to the public. 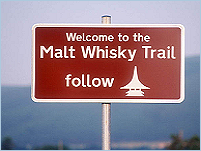 The Malt Whisky Trail is a local marketing initiative established to promote the region's Whisky heritage and encourage tourism. 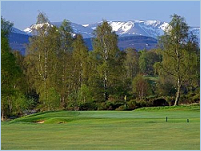 There's plenty to see and do in and around Inverness – just leave yourself enough time. Browse city shops old and new, from the Victorian Market to the new award-winning shopping complex, Eastgate II. Take a stroll to Inverness Castle, currently used as a courthouse, and St Andrew's Cathedral, which dominate the River Ness and what has been described as one of the most beautiful riverside settings in Britain. Enjoy the fine circular walk from the castle along the river and through the Ness Islands where, in the peak season from July to October, you can watch anglers casting long lines to leaping Atlantic salmon. Buy a daily ticket and try it for yourself. Above the city lies Craig Phadrig, once the stronghold of Pictish Kings, which offers interesting forest walks. 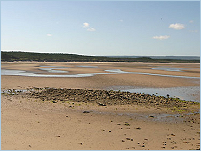 From here you can enjoy magnificent views of the Moray Firth, home to a diverse range of wildlife including bottlenose dolphins which can be seen from the shore or on trips available from harbours along the coast.